Aberdeen City Council – what next for the Tories? It is now more than two years since the Conservatives entered into an unlikely alliance with Labour and a trio of Independents on Aberdeen City Council. The Tories have been proud of their achievements since the 2012 elections, arguing that the three-man group has “punched above its weight” within the coalition administration. The party helped push through plans for a third Don crossing, improved broadband internet connections and self-directed support in social care. But the group has since imploded as internal tensions, building since the coalition was formed, boiled over. Alan Donnelly, ward member for Torry and Ferryhill, was expelled from the group after he directly contradicted leader Fraser Forsyth in a Press and Journal article. That was considered the last straw in a problematic relationship that was soured when Mr Forsyth was appointed leader, a position which Mr Donnelly had held prior to the election. Mr Donnelly was also sidelined when convener posts within the new administration were allocated. After Mr Forsyth’s surprise resignation from the party, a spokesman for the Scottish Conservatives’ national office said his departure was a “personal” decision. The Midstocket and Rosemount councillor has not yet elaborated on his reasons for leaving. He will continue as a member of the council administration, but will be “non-aligned”. It is understood that poor relations between councillors Forsyth and Donnelly, who was allowed to remain a party member despite his expulsion, contributed to Mr Forsyth’s decision. From the outside, the group appears dysfunctional, to say the least. During the last council term, the Tories were also beset by infighting, which culminated in councillors Alan Milne and Jim Farquharson leaving to join the Independent Alliance. 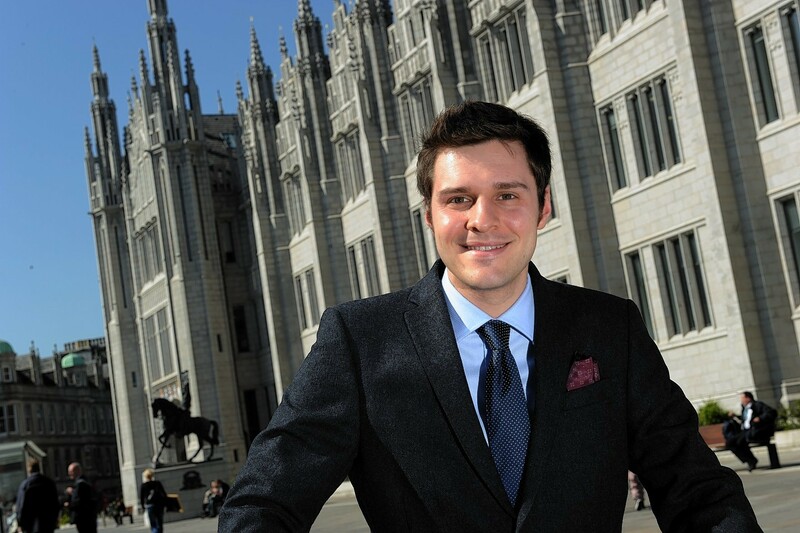 Ross Thomson, now the sole recognised Conservative councillor, insists he can continue to have an influence. He said: “I think what we have seen in the last two years has been stability. Two budgets which were balanced and brought no cuts and no redundancies, which was extremely welcome after the turbulent five years we had before. Despite the protestations to the contrary, there still appears to be problems on the horizon. Mr Donnelly maintains that he is still a Conservative councillor. He said he was left “isolated” after the 2012 election, and is still unhappy at the way he was treated. “I think, when you are the leader, you should look after your footsoldiers,” he said. At this point, a reconciliation appears unlikely, however.